JRI Orthopaedics showcased its manufacturing excellence and healthcare delivery solutions during a special UK Government trade mission to India to celebrate 70 years of NHS innovation. The multi-award winning Sheffield business was the only orthopaedics company invited to the three-city mission organized by the Department for International Trade, which included a Royal reception. JRI Orthopaedics UK general manager Alistair Wheatley said: “It was a very interesting and useful mission with some excellent contacts made. 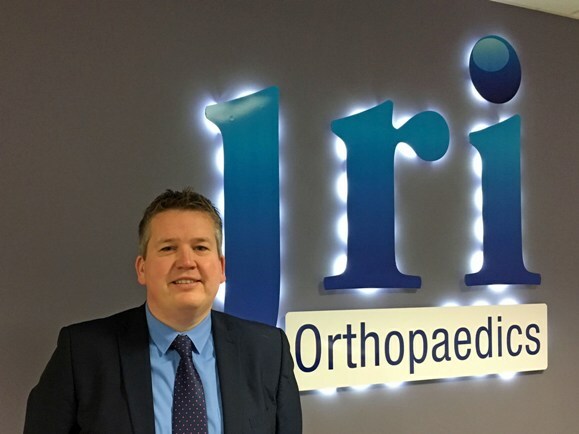 “JRI Orthopaedics has a long history of innovation, manufacturing excellence, supporting cutting-edge research and working in partnership with the NHS to deliver solutions that bring about real efficiencies and patient benefits. The four-day trade mission to commemorate the 70th anniversary of the NHS, was led by Sir Malcolm Grant, Chairman of NHS England, CEO of NHS Digital Sarah Wilkinson and the Minister of State for Trade and Export Promotion Baroness Fairhead. Delegates from NHS Trusts and health care companies visited New Dehli, Mumbai and Hyderabad to hear from and meet senior managers from Indian hospitals, medical institutes, colleges and business. There was also a reception for HRH The Prince Edward, Earl of Wessex. JRI Orthopaedics is based at a state-of-the-art manufacturing facility at Chapeltown and has world-class expertise in the design, development and manufacture of orthopaedic implants and surgical instruments. Founded on innovation, it was the first company in world orthopedics to produce a hip implant with a Hydroxyapatite coating enabling a biological bond with the patient’s bone and so the prospect of a hip for life. JRI Orthopaedics’s current expanding product portfolio and orthopaedic systems are designed to streamline the delivery of the best solutions in joint reconstruction, repair and regeneration. Uniquely, the company is wholly owned by the charity Orthopaedic Research UK (ORUK) and has donated millions to fund world class research into bone and joint disease.